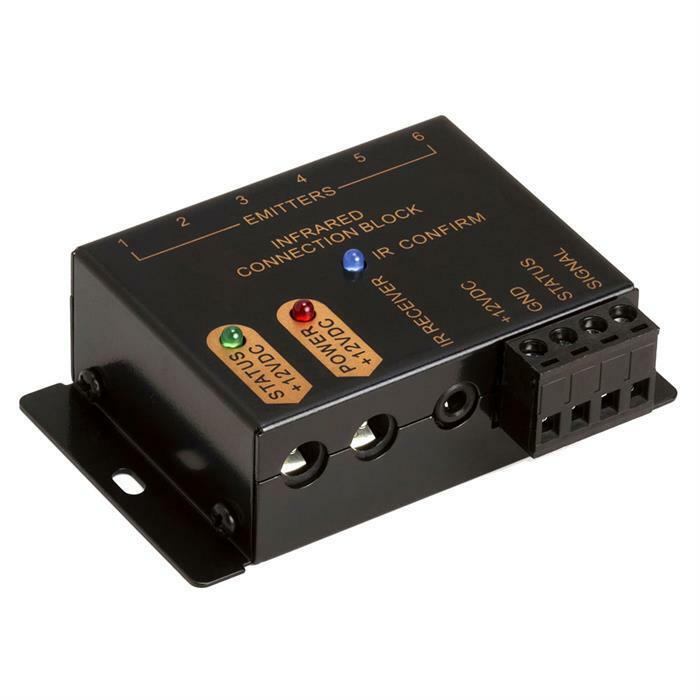 Connecting block provides a place for connecting the IR receivers, emitters, and their respective power requirements. 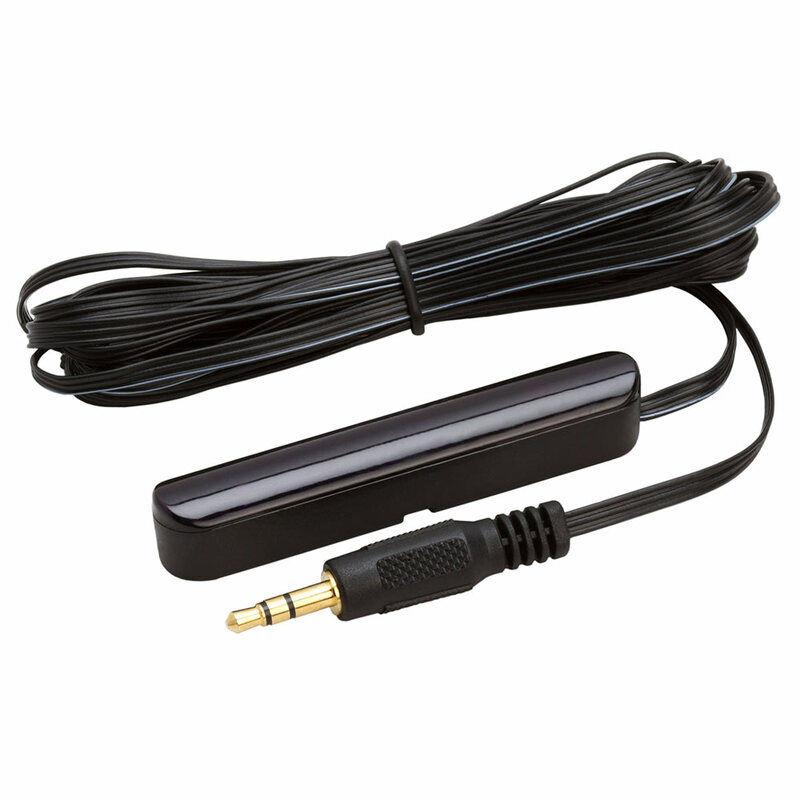 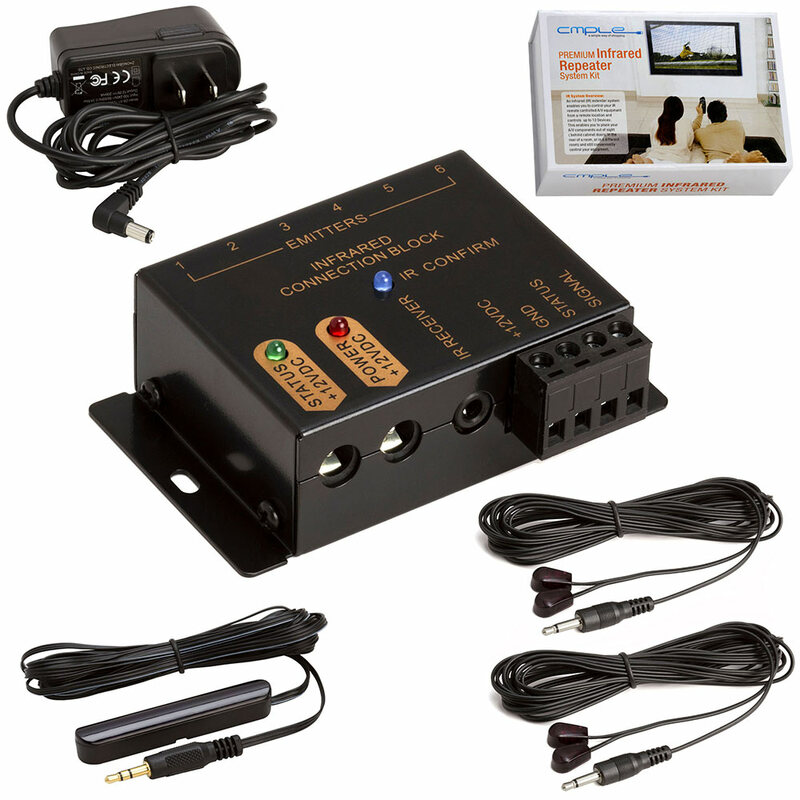 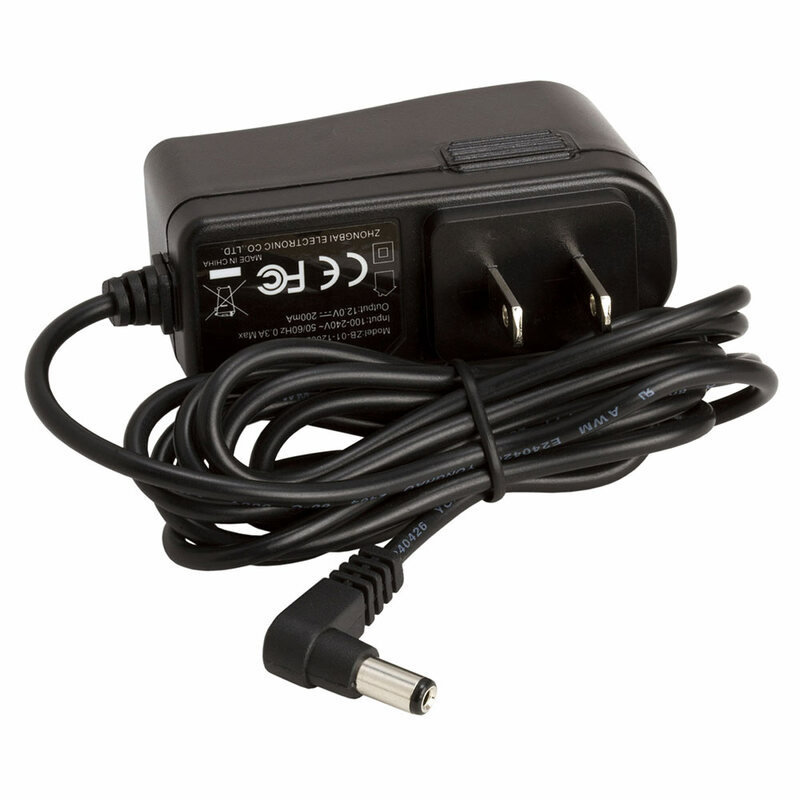 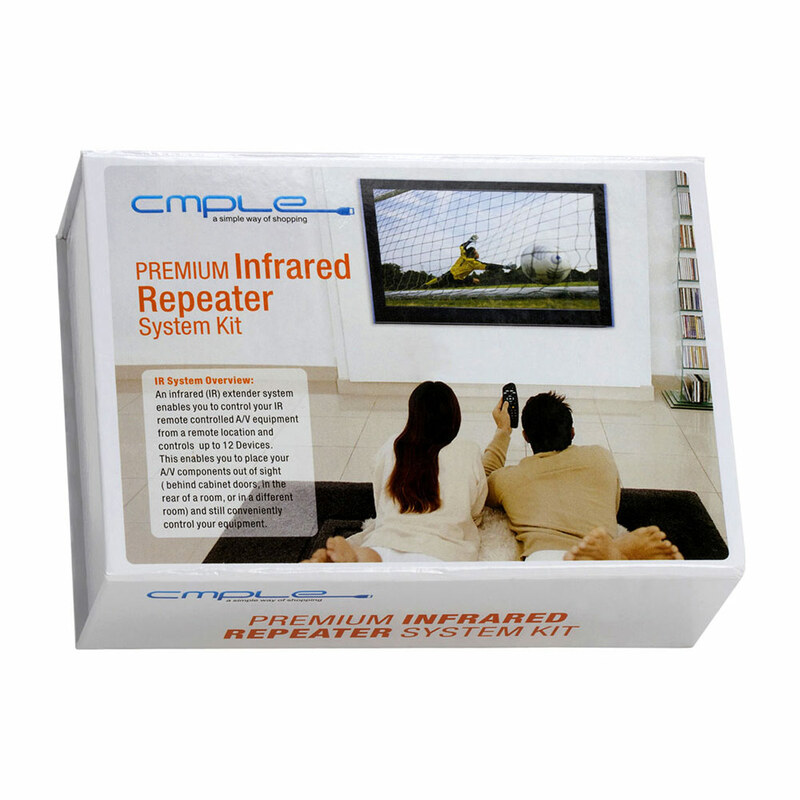 This device supports one IR receiver which is included. 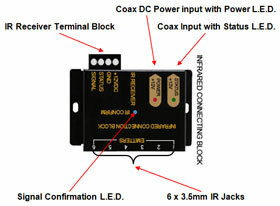 Connecting block supports up to six emitters (2 included), which connect into the unit via 3.5 mm mono phone jacks. 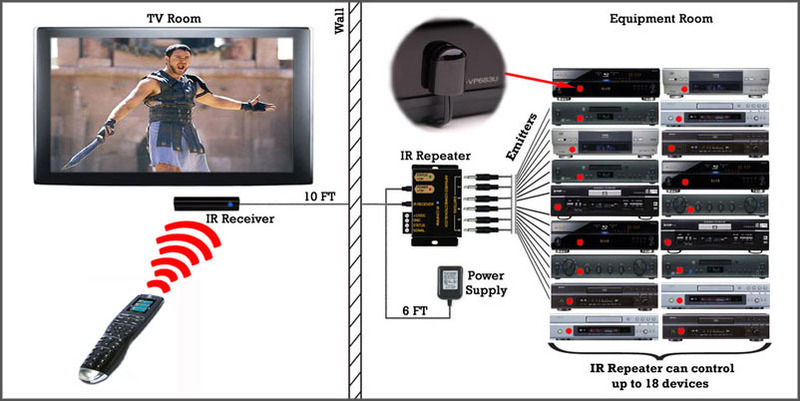 The Main System Unit, which is the "heart" of an IR extender system, has LED indicators to monitor the IR extender system. 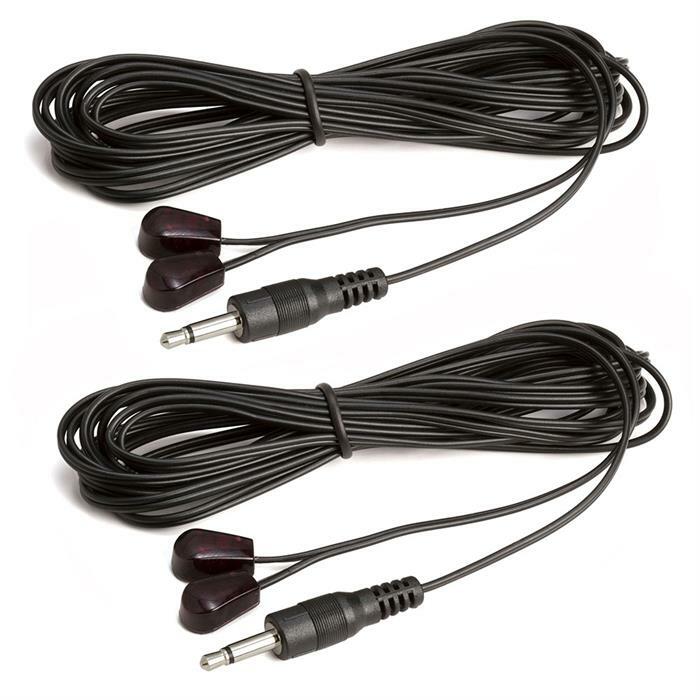 Most installations call for the connecting block to be located close to the emitters and the supported components, such as: within a stereo cabinet or hidden out-of-sight in a closet. 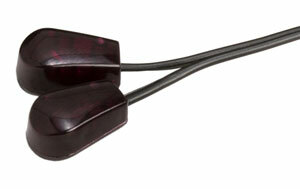 For convenience connection blocks can be mounted directly to a wall or a shelf with included screws.